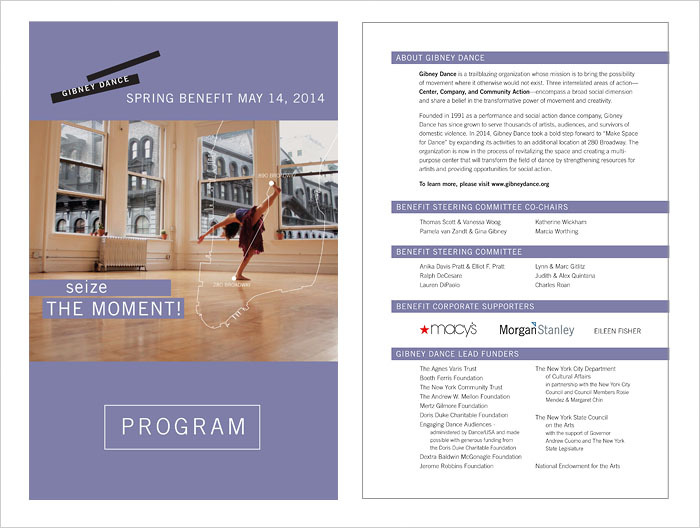 Padraic worked with Gibney Dance to create their Spring Benefit invitation. 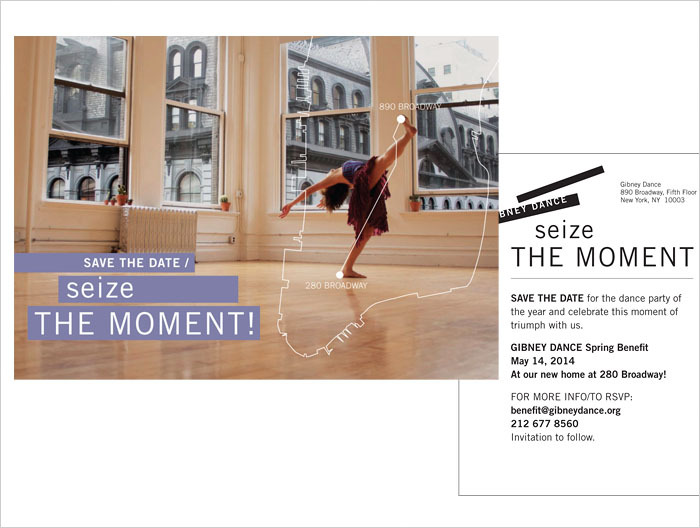 In opening her new space, Gina Gibney wanted to utilize a graphic showing both of her locations. 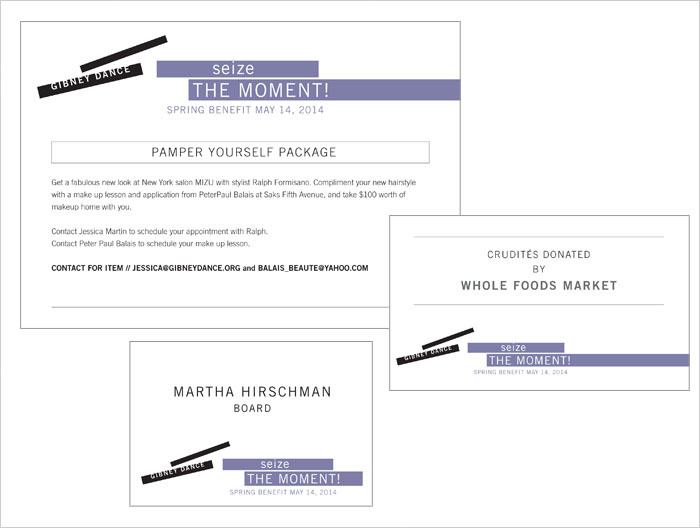 In addition to the invite, we created a program, bid sheets, gift certificates, and save the date cards.